24/7 Wall St. - Finance news and opinion. American Banker - Information platform for banking professionals. Australian Financial Review - Australian business, finance and technology publication. Provides a daily analysis of the latest news from the banking, finance and information technology sector, and breaking news from the business sector and the political arena. Bank Director - Bank Director is written for directors of financial companies. Each quarterly issue focuses on information board members need on topics in banking - from mergers and acquisitions to retail strategies, compensation to technology - and features commentary from former FDIC chairman Bill Seidman and financial management guru Alex Sheshunoff. Bank Systems and Technology - Information on the strategic use of technology for increased productivity and profitability in the banking industry. Barron's Online - Available to subscribers of the Wall Street Journal Interactive Edition. Statistics, analysis, investigative reporting, company profiles. Bermuda Offshore Alert - From KYC News. Better Markets - Financial reform news. Bloomberg - Business and finance news, data and analysis. Breaking Views - A leading source of agenda-setting financial insight. breakingviews has 25 correspondents and columnists based in London, New York, Paris, Washington, San Francisco and Madrid. Capitol Account - Financial and market news from Lauren Lyster on RT. CBS2Chicago: Business - Stocks, data, business and financial news for Chicago area. CFO Magazine - Refinancing to reengineering, insurance to information systems. ChangeTracker - Tool that watches pages on whitehouse.gov, recovery.gov and financialstability.gov so you don't have to. When the White House adds or deletes anything- say a blog post, or executive order-ChangeTracker will let you know. Chron: Business - Houston business, company and financial news. CLS Blue Sky Blog, The - Columbia Law School's blog on corporate governance, financial regulation, restructuring, antitrust and kindred topics. CNN Money - Personal finance advice and tools. Commerce Business Daily - Notices of proposed government procurement actions, contract awards, sales of government property, and other procurement information. Compliance Reporter - Legal and compliance news in the securities industry. Crain's Chicago - Regional business publication. Crain's Detroit - Shorter versions of Crain's Detroit top stories are posted here by 8 a.m each Monday. Crain's New York - Breaking business news, feature stories, ranked research lists, and detailed analysis of events in New York City. Daily Deal - Deals in progress, strategies, profiles of the players, emerging trends and developments. David Roodman's Microfinance Open Book Blog - Shares Roodman's writing of a book about the history and impacts of microfinance. DealBook - From the New York Times - mergers, acquisitions, venture capital, hedge funds. 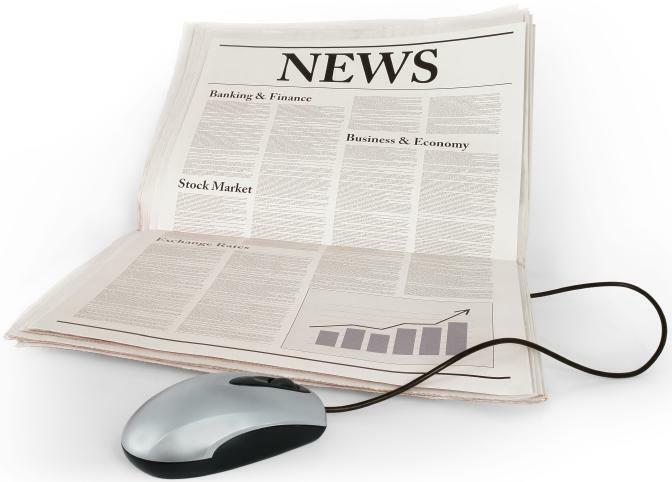 Dealbreaker - Business headlines, news, and financial gossip. Defend Democracy Press - A network of (mainly, but not exclusively) European intellectuals who oppose the attempt of international finance and big international corporations to impose a dictatorship all around Europe. Part of The Delphi Initiative. Supported by the World Forum of Alternatives, the Institute for Globalization Studies and Social Movements (Russia), the Lyssarides Foundation (Cyprus), the Athens Development and Governance Institute and the website Agora Dialogue. Denninger, Karl - Public advocacy sites, blog, and forums stared by Karl Denninger. Denver Post: Business - Denver and Colorado business and financial news, stock information and company analysis. Eurointelligence - Economic commentary and analysis of the euro area. Financial Markets and Portfolio Management (FMPM) - The official publication of the Swiss Financial Analysts Association, FMPM addresses all areas of finance, concentrating on financial markets, portfolio theory and wealth management, asset pricing, risk management, and regulation. The journal serves as a bridge between innovative research and its practical applications. FMPM publishes academic and applied research articles, shorter Perspectives," book reviews, and survey articles dedicated to current topics of interest to the financial community. Financial Times - Financial news, comment, editorial. Fool.com - The Motley Fool - News and commentary, personal finance, stock strategies, taxes. footnoted - Takes a closer look at the things that companies try to bury in their routine SEC filings. Forbes - Contents, cover story, and selected columns from Forbes, Forbes FYI, and Forbes ASAP. Fortune - Market and business news updated throughout the day. FT Alphaville - Blog from Financial Times. Global Finance - Finance news, banking information. GoBankingRates - Financial news for best bank rates, CDs, savings account rates, loans, etc. Google Finance - Market summary, today's headlines, company facts and financials, related company data, company summaries, management information, blog post,s and links to topical discussions. Gretchen Morgenson - Financial editor and columnist for The New York Times. Institutional Investor - Editorial information from Institutional Investor magazine plus full access to industry-standard, benchmark rankings and ratings. International Journal of Finance and Banking Studie(IJFBS) - A peer-reviewed, free, open access and refereed academic journal published online quarterly by the Society for the Study of Business and Finance. IJFBS publishes manuscripts in the fields of business, banking, economics and accounting. Topics covers asset pricing, corporate finance, banking, loans, risk management, marketing and public relations, market microstructure, behavioral finance, experimental finance, law and finance, international finance, financial institutions, performance evaluation, finance in emerging and less developed economies, İslamic finance, equity analysis and valuation, venture capital and initial public offerings, portfolio management, stock performances, economic development, analysis, theory and so on. Investment News - A leading source for investment advisors. Investor's Business Daily - Business, financial, economic, and national news. InvestorsInsight - Articles, reports, financial intelligence. Journal of Commerce - Daily reports on finance, global trade, imports, exports, transportation, foreign investments and markets, logistics, energy, insurance, electronic communications, energy, finance, chemicals and commodities. Kaiser Report - Timothy Maxwell "Max" Keiser (born January 23, 1960) is an American broadcaster and film-maker. He hosts Keiser Report with financial news and analysis, a program broadcast on RT. The 30-minute program is produced three times a week. Stacy Herbert ( recently announced on a July 2012 episode as his fiancee) is the co-host and banters with Max on headlines and commentary. Each episode is divided into two parts. In the first half Max and Stacy discuss a concurrent topic and comment on financial media reports and commentary. The second half features a guest being interviewed by Max Keiser. Kiplinger - Numerous business and finance publications and services. Market Ticker (Karl Denninger) - Comments on the capital markets. MarketWatch - Financial news and analysis. Mercury News: Business - Business content from the San Jose Mercury News in California. Moreover - List of pre-built available categories for news feeds (business, industries, finance, companies, etc.). Morningstar - Mutual fund, stock, and variable-annuity investment information. Naked Capitalism - Commentary on finance, economics, politics and power. Also see the writings of Yves Smith. New York Times: Business - Breaking news, business news on Wall Street, media, advertising, international business, banking, interest rates, the stock market, currencies; funds. Oil and Gas Investor - Oil and gas news, exclusive features, interviews, videos, financings, investments, E&P, drilling activity, people moves, events, and industry conferences. paidContent.org - Providing global coverage on the economics of digital content. Planet Money - NPR blog. Real Time Economics - Economic insight and analysis from The Wall Street Journal. Red Herring - Business and investor news and analysis. Reuters Breakingviews - Financial stories as they break in the United States, Europe, the Middle East and Asia. Rortybomb - Mike Konczal's blog on financial reform, the 21st century economy, unemployment, inequality, access to financial services and what it means to have a social contract in a financialized, post-industrial economy. RTT News - Global financial news. San Francisco Chronicle: Business - San Francisco Bay Area business, real estate, technology and financial news; small business resources. Seeking Alpha - Stock market opinion and stock analysis. U.S. markets, global markets, ETFs, sectors, transcripts. Singapore Business Times - Southeast Asia's leading business daily. A comprehensive and concise package of corporate, financial, economic and political news, analysis and commentary. Smart Money - The Wall Street Journal Magazine of personal business. Solari Report, The - A one-hour briefing by Catherine Austin Fitts 3x a monthly. Surowiecki, James - Archive of Surowiecki's aricle for The New Yorker. TheDeal - Rreports, analyzes and disseminates business and financial news that offers fresh insights on the deal economy. TheStreet - Financial news and analysis. This is Money (UK) - News, advice, guides and opinion on making money and saving money. A complete guide to personal finance and investing. Wall Street and Technology - Information technology for the investment and securities markets. Wall Street Journal - Business and financial news. Wall Street Journal Market Beat - WSJ.com's inside look at the markets. Web of Debt - A 'virtual community' of armchair money reformers and their thoughts on fixing the system. Maintained by Ellen Brown, the author of Web of Debt, a book about money, where it comes from and how it is manipulated. Where's Our Money - Harvey Rosenfield has been fighting to protect consumers and taxpayers against rip-offs and abuse for thirty years. World Finance - Financial and business journalism. Zero Hedge - Financial, economic and political information.